In a large bowl, cream together butter and sugar until light and fluffy. In a separate bowl, whisk together flour, cocoa powder, salt, and espresso powder. Slowly mix the flour mixture into the butter until completely combined. Wrap the dough in plastic wrap and chill for at least an hour. When ready to bake, preheat oven to 325 degrees. Roll the dough out to a quarter of an inch thick and cut into circles or desired shape. Place on a baking sheet at least 1 inch apart. Bake for 18 to 22 minutes then let cool completely. 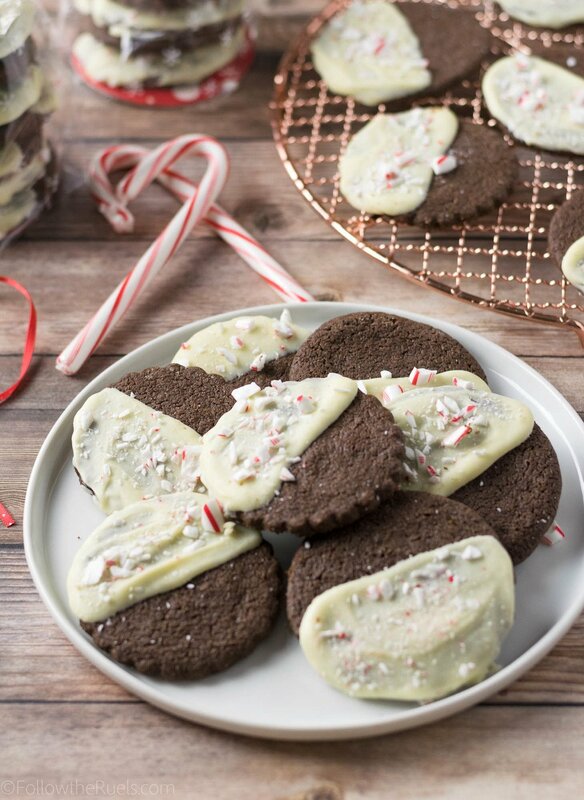 Meanwhile, mix the peppermint extract into the white chocolate, dip or spread the chocolate on half of the cookie. Sprinkle candy cane pieces over the wet chocolate. Let dry for at least an hour, or chill in the freezer to harden quickly. Store in an airtight container for a week.